When we looked at buying seeds this year, we had a bunch of catalogs and seed companies to choose from. It would be really great to be able to quickly determine who has what variety, the cost and whether it is still in stock. Certain popular seeds tend to sell out quickly. When I started looking into this, it seems like a task that would be difficult to accomplish without some direct assistance and interaction from the seed companies. And I’m not sure they would be that interested. I still think there might be a way to do this with some sort of screen scraping app, but it would take some doing. And it might not make the seed companies happy, even though my goal is to support those who are selling organic and open-pollinated seeds. Still might be a fun project to try. The problem is not everyone uses a distinctive enough url structure to make this easy. It’s also not trivial to compare prices, since some companies sell by the number, some by the ounce and it also depends how large a quantity you are buying. If you could find the price, I guess you could just display it. In the meantime I created a Google custom search that searches all of my favorite companies. I tried to filter down the urls to be as specific as possible (e.g. use the item detail page, not every url in the site). You can do this with some of the sites, but not all. Makes me wish everyone was using MVC/friendly urls. Mother Earth News already has a custom search like this, but it’s hidden in their site and they search several hundred companies. So the signal to noise is pretty bad if you ask me. You can check out mine and see if it’s helpful. I will likely add some additional companies into the mix, but trying to keep it a bit more curated. Article first published as Book Review: Gathering: Memoir of a Seed Saver by Diane Ott Whealy on Blogcritics. First, a bit of background on the lens through which I read Gathering: Memoir of a Seed Saver. As a child, I spent a lot of time in the summer working in the garden and often could not wait to be done with it. Fast forward a number of years, however, and I find myself interested again. The idea of growing your own food is a compelling one for many people, particularly in this age of economic uncertainty. I’m certainly very much in agreement with the goals of this organization and my review reflects that. When my wife and I started researching various aspects of gardening and sustainability, some resources kept popping up in more than one book and one of them was Seed Savers Exchange. Seed Savers Exchange (SSE) is a non-profit organization with the mission of saving and sharing the richness of genetic and cultural diversity found in open-pollinated seed. Today many of the seeds you find in the seed rack are hybrid types. But you can’t save hybrid seed year after year; you must buy it again each time. This book is the memoir of Diane Ott Whealy, one half of the husband and wife team that brought SSE to life. While it certainly helps if you are interested in the subject matter, there are aspects of this book that make it a compelling read for anyone interested in small business, entrepreneurship and the strength of the human spirit. Diane and her husband Kent fought through many obstacles to bring Seed Savers to where it is today. Ms. Whealy is honest and forthcoming about the very real struggles that it took to develop the organization to where it is today. When they were getting SSE off the ground, the idea of preserving genetic diversity and using sustainable gardening practices was going through a dark period. For hundreds of years, farmers had basically farmed organically, saving their best seed from year to year. But starting in the early to mid 1900s, a new rush of “progress” pushed farmers to make production the primary goal, through the use of chemical fertilizers, unsustainable soil practices and the new hybrid seeds and later GMO seeds. Open pollinated seeds must be regularly planted and saved or they can be lost forever. In addition, the diversity of seeds in catalogs for the home gardener was dwindling. Each year found more and more varieties unaccounted for and some seeds were only available from a single source. The Whealys recognized this as the problem it was and set about trying to do something about it, well before most people were thinking in these terms. Scattered around the country, there were other individuals with the same dreams and goals. Seeds Savers provided a framework to bring these people together and work for the common good. They started in 1975 with only 29 gardeners exchanging and sharing seed. The tradition was started of a yearly meeting on the property, with like-minded folks coming from all over the country. By 1983, they had around 3500 different seed varieties in their collection, including 2000 different beans, 500 different peppers and 200 different squashes. For the most part, the business was run out of their home and there wasn’t always money for a salary. Income came from the seed catalog they distributed each year. Another struggle was finding the room to work and grow the business. The Whealys moved around several times before Seed Savers finally found the right property in Decorah Iowa. Eventually Kent Whealy won the MacArthur “Genius” grant in 1990 and there were some other grants along the way. These grants, along with growth in the business and help from other benefactors finally got SSE on stable footing. Later the organization was also able to purchase an additional 700+ acre property of pasture and woods, giving them a large protected area to carry out their mission. But it was a long road to get there, years of laboring and putting everything back into the organization. This shows the perseverance that is often necessary to make your dreams come true. This intense, sustained focus on the organization was not without its downsides. It took a toll on the Whealy’s marriage, which ended in divorce in 2004. It is very difficult to pour your entire waking existence into a dream without some aspects of your life being neglected. This is food for thought for any entrepreneur. On the other hand it is often difficult to create something of good and lasting value without a lot of sacrifices along the way. Many people are grateful to the Diane and Kent Whealy for the lasting impact their life work has had and will continue to have on the sustainability and organic gardening movement. 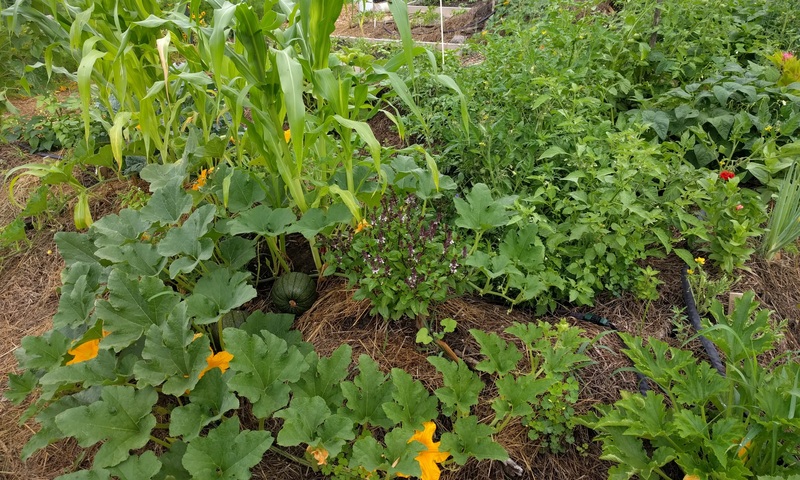 We are very excited this year as we go from the shaded 100 square foot garden patch (behind our friends’ house in Chicago) to a full-on 2000 square foot “real” garden. There is some shade around the garden, but I think we’ll get plenty of sun for a lot of the garden. I think this is approximately the same size as the garden we had at our first house when I was a kid. We’ve already planted a patch of garlic (it gets planted in the fall just before frost really starts). Will be cool to see how that works out. There is also a few plants of asparagus already planted. We have several compost bins/piles going, as well as some leaf mulch breaking down over the winter. During this time of year, the days are short and it’s pretty dreary. But the bright spot is receiving all the garden catalogs, allowing dreams about the summer. This year we are trying some new catalogs. We’ve bought a lot from Johnny’s in the past and we still love them, but we want to support some other small heirloom/organic seed companies. These companies need all the help they can get to stay in business. It’s important to make sure those of us who care continue to have an alternative to the evils of Monsanto, GMO seeds and the like. I thought it might be interesting to share what we ended up purchasing. We might have overdone it a bit, but this is an experimenting year. We actually had a decent number of seeds already, so we didn’t need everything. This is just a partial list of what we plan to plant. We are curious how some of this stuff will do in the garden and whether we are biting off more than we can chew (pun intended). But it should be fun to have plenty of room to experiment and see what works in our shorter growing season. The rest of our year mainly revolved around settling into our new home. I decided to stay with Clarity Consulting and work from home, a decision that is working out fairly well so far. It’s definitely a bit of an adjustment, but it’s great having no commute, eating lunch with my wife and now having time to spend with our little one here and there throughout the day. When we got here, there were still some parts of the garden going from stuff the previous tenant had planted. However, most of the garden was overgrown with weeds and about half the garden had nothing in it. There was one raised bed already in place. We like raised beds, particularly for square foot gardening, so we threw together another one with some scrap wood that was lying around. The soil in the garden is amazing, due to years of amendments done by our landlords of compost and manure. We gradually got all the weeds pulled out and planted some stuff for fall. Our landlord let us borrow a tiller and I worked up all of the garden that didn’t have plants. We planted buckwheat and winter rye as cover crops in the tilled areas. I built some low hoop houses with some PVC pipe, rebar to anchor it and Agribon 19+ row cover over the raised beds. We planted a bunch of cool weather crops, such as greens (lettuce, arugula, Asian greens, mizuna, spinach), broccoli, kale, radishes and turnips. Unfortunately, we had a lot of trouble with slugs that we didn’t catch in time, probably partly due to the weed cover that allowed the soil to remain overly wet. So we lost a lot of plants, but a few things took off. We harvested radishes and kale into December. We did some painting when we first got here and it took a bit longer than expected, but the place looks great. Kristin did the majority of the unpacking. It’s great to have so much room here, we have three bedrooms, an unheated attic, a cold pantry and a small barn out back that we can use. We visited a few churches and eventually landed at the Middlebury episcopal church, St. Stephens on the Green. Really great people, including a few farmers we’ve been getting to know. Kristin has made the acquaintance of some fiber folks (spinning, weaving, etc.) and joined a fiber guild. We’ve also met a lot of local artistic people (writers, potters, musicians, etc.) So we are gradually building a community. Everyone in Bristol has been very welcoming and we are starting to make some local friends. We didn’t travel for the holidays, due to Kristin’s pregnancy. Kristin’s parents came to visit for Thanksgiving and we made a local turkey and fired up the antique wood kitchen stove to make some of the dishes. Some fits and starts, but I finally figured it out with our landlord’s help. Our baby was due on December 6th. Kristin went to yoga on December 1st and had her water break in class at around 12:30PM. She made it home by about 2:30, after a stop at the hospital to get checked out. We were ready to settle in for awhile, since everyone had told us early labor usually takes a bit. But it seemed the contractions were coming pretty frequently and Kristin was already in a bit of pain. Turned out the baby hadn’t heard about the early labor taking awhile, so we headed to the hospital and by 5:45PM we welcomed Ezra Geiger Swartzentruber to the world. The rest of December was a bit of a blur, as the first few weeks of having a newborn typically is. Kristin’s mom came up to help a bit the second week. Then Kristin’s parents and brother came for Christmas and my mom came for New Year’s for a few days. So we had a bit of help. It really made the holiday season special and was a great way to end a year of many changes. We had signed up with one of the bigger Allied affiliates in Chicago to move us to Vermont. They seemed to have pretty good reviews, although in doing research it just seems like very few people have great experiences with cross-country movers. I saw several suggestions in moving forums to just “sell all your stuff” and buy it again in the new place. I guess that might make sense if you are in your twenties, but we had spent years collecting books, beer-making equipment and other specialized stuff. So I wasn’t going to do that. Allied was supposed to move us on August 10th, a Wednesday. They said they would give us exact details once they had a truck scheduled. As the day approached, I called to confirm and they said they still didn’t have the exact details. Finally I called them the day before and they told me they hadn’t yet identified a truck or driver. I asked them what we were supposed to do since we had a lot of different plans made around that date. All they could tell us is that they were working on it. Needless to say, I was not happy and asked them what the point was in scheduling 2 months in advance if this was the result. This continued for another day and they still had no ETA. I started researching just renting a truck myself after all, even though it was the last thing I wanted to do. I don’t love driving big vehicles, particularly not on a multi-day trip. But it didn’t seem like there was any guarantee of when Allied would get their act together. We had mostly done all our final packing and really didn’t have much left unpacked to even use for a few days. I ended up calling Penske just to see if there was any possibility of getting something on short notice and it seemed like they might have something. There were some advantages to moving ourselves, as there were certain things Allied wouldn’t move for us and it was going to be a tight fit getting all of them into our car. Also, Allied wouldn’t be delivering our stuff for 7-14 days, so we would be in a new house with nothing except an air mattress and Kristin was pregnant. Finally on Friday, I was stir-crazy and fed up with Allied, so we decided to move ahead with renting a truck and moving ourselves. I canceled the Allied move, which fortunately didn’t end up costing us anything. I called for some help from friends again and I picked up a truck on Saturday morning. We got the storage unit emptied and the truck loaded by Saturday evening. We headed out early Sunday for Kristin’s parent’s place in central PA. This wasn’t the most direct route, but would give us a place to crash where the truck would be safe. Most of the trip went fine, but we ran into heavy rain in PA and then had to go up over a mountain on interstate 81 where it was very foggy and there was roadwork going on. It was pretty scary and I was exhausted from driving the truck all day. We got behind a semi truck and took it slow. There were spots with no guardrail and only one lane was open, so it was nerve-wracking. We finally made it through and got on the last main road going to Pottsville, arriving around 10PM or so. We took Monday off to rest and I actually did a little work that day. We headed out again on Tuesday to go the rest of the way. The trip went pretty well and we had good weather. As we climbed a hill and crossed over into Vermont, the landscape stretched before us and it was such a lovely site I’m not ashamed to admit I shed a few tears. It had taken so long to get to this point and we had a lot of obstacles. The rest of the way was pretty easy, although the Vermont backroads had Kristin cringing as my back tires would edge off the side of the road. No shoulders, just narrow roads beat up by the Vermont winters. But we finally pulled up in front of the house I had rented and Kristin got to see it for the first time. I still had the truck for another day, so we took our time getting unloaded and hired a couple of local guys to get the heavy stuff. It was money well spent after our long ordeal getting there. We had made arrangements to stay in Chicago with our friend Mark until August. He rents a house in Wheaton. We wanted to wrap up some work stuff, have time to spend with friends and figure out moving and housing logistics. We moved everything out into storage in time for the first closing date. We thought we had plenty of time (we were allowed to stay with Mark for 6 weeks by his landlords). But after the closing date kept getting moved, we were starting to get tight on time. Arrangements were made with Allied to move us, but they wanted an arm and a leg (almost $3K) to store our stuff from the end of June until we actually moved in August. And then it turned out they had no trucks available in late June anyway. Should have taken that as a sign… So we ended up renting some trucks and moving stuff to a storage unit ourselves. Around this time, Kristin’s dad had open heart surgery and she had to go to PA to be with the family, so I was doing a lot of the moving and packing by myself. Fortunately we had a lot of good friends who pitched in and helped out. We had decided to move to Vermont and I wanted to look for housing, but without an official “cleared to close” I was afraid to find a place or sign a lease. I had to reschedule my flights twice before I could finally make it out to Vermont. By the time we finally closed in the 3rd week of July, I only had a few weeks to find a place to live. To make matters worse, the rental market in Vermont is fairly tight AND tends to be expensive, so the choices seemed a bit limited. There is really no central web site for rental options either. Armed with a list of options from Craigslist, I flew out to Vermont for a long weekend to try to find a place for us to live. The first day or so didn’t go that well, but then things started picking up and I was able to make a series of appointments. The only place that Kristin was really intrigued by turned out to be the place we landed, but it was a bit further out than I wanted and I wasn’t sure it was still available. I was staying with a friend in Essex Junction and when I mentioned Bristol to him and his wife, they got excited and said how great a town it was and probably a good fit for us. The house also had plenty of room, a garden and wood stove heat; all things we were excited about. I contacted the owner and she did get back to me, but thought someone else was already very interested. I found out later she was being very picky and not even getting back to many people, so in retrospect it is surprising I even heard back. She was already showing the place on Friday, so she said I could come by after that. When I got there, the other person had gotten sick and didn’t show up, so I was the only one to look at it. I immediately connected with the place and probably would’ve rented it on the spot. Leslie (the landlord) wanted to chat for awhile and then wanted me to think about it and talk to Kristin. I told her we were expecting and she was excited about the possibility of having a young family in the house again. I left to go look at another place, but that only reinforced how much closer this place was to what we wanted. Kristin was all for it, so I called Leslie back that evening. She agreed to rent us the place and I drove down on Saturday to finish the deal. We hung out most of the afternoon and worked on a lease together. Vermont is very much a “handshake deal” kind of place, particularly in the rural areas. I got to meet her husband Jim and we immediately hit it off. He was excited to talk about all my farming research and ideas. We share a lot of common interests in doing things “the old way”. Every time we get together the discussions are always interesting. So I was able to leave Vermont with a great place rented, some new landlords who also seemed to be fast friends and an excitement to finally move. But we still had to make that happen and there was going to be one more hiccup on our road to Vermont. 2011 turned out to be a very interesting year, full of twists and turns and lots of changes. We started the year with our condo still on the market after about a year and a half. Showings had nearly dried up. Nothing was moving. We had been wanting to start a family, but were hoping to wait until after we moved on from Chicago. At this point, since it was hard to tell whether our house would sell anytime soon (and we weren’t getting any younger), we started to think maybe we should at least start trying. We found out in April that Kristin was pregnant, right around the time showings started to pick up again. We had dropped the price yet again, just desperate to get out of Chicago. We finally got our first offer in early May and it was a bit of a kick in the teeth. But we started negotiation and eventually got to a contract we could live with. Unfortunately that was just the beginning of the process. Our buyer wanted to do an FHA loan, as the majority of people are doing right now with credit so tight. Our building was not already approved, so we embarked on the process of getting that done. I’m not sure if this is the FHA in general or our contact in particular, but I’ve never seen such an incompetent bureaucracy in my life. We gave them an initial set of documents and it took them almost a month to get back to us and tell us half of the stuff was incomplete or wrong. By this time we were only a few weeks out from our scheduled closing on June 24th. We tried to get the documents completed, but we would give them one thing and then they needed something else. Don’t’ these people use any sort of workflow or checklist? It was ridiculous. It’s a wonder people don’t just give up. If the government wants to know why the real estate market isn’t recovering, the FHA would be a good start as part of the problem. Anyway, we missed our first closing date and eventually got everything worked out, but it took another 3 weeks. We were finally able to close on July 19th, almost a month later than originally scheduled. Fortunately the closing itself went smoothly and we were finally officially homeless (and debt-free).